We are known for providing only flawless range of products as we store the entire lot under safe environment in our spacious warehouse. Moreover, the lot is regularly checked by our experts. This is due to our cordial associations with the logistic companies that we are able to reach any preferred Karnal(India) with ease, thus meeting the delivery schedule. Corrosion resistant paint and varnish treated core components. Tropicalized design suitable for Indian conditions, Low power consumption. Cast Iron and aluminium die-cast frames for sturdy construction. Dynamically balanced rotating parts to guarantee vibration free longer life. Pre-lubricated antifriction bearings of ample size to withstand radial and axial loads. 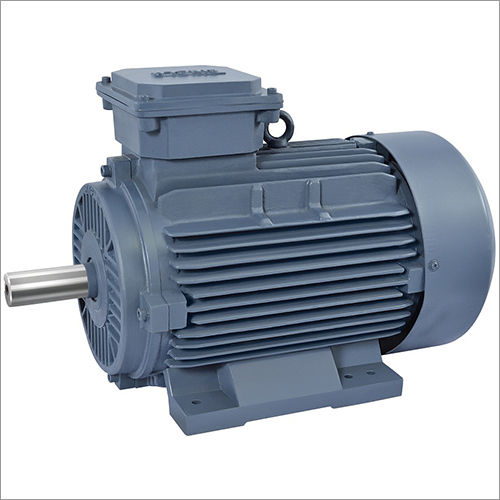 Type Three Phase Squirrel cage induction motor.